Liz works as a psychotherapist specialising in working with people with complex trauma, from a post-traumatic growth perspective, in her private practice Cultivating Confidence where she also blogs and vlogs about issues related to trauma, therapy, personal power, inner criticism etc. She also works as a process-oriented coach, facilitator and trainer and is also a faculty member of the Processwork Institute of India. Based in Melbourne, Liz is the founder of the Melbourne Processwork Centre, working closely with ANZPOP to offer quality training using the Process Oriented Psychology model, for both personal and professional development. Liz began her journey as an educator in the forest campaigns of southwest Western Australia, learning and teaching about nonviolent direct action, conflict transformation, deep ecology, and collaboration. Moving back to Melbourne, she continued learning and teaching in these areas, studying with deep green activist elders like John Seed and Joanna Macy, and teaching in local nonviolent community groups and with Peace Brigades International. Liz is passionate about liberation, both individual and social, and explored this topic in her processwork dissertation on psychological freedom. To clients, the gift of Processwork is to offer more than a return to functionality; more than skills to cope with marginalisation. Processwork offers clients the opportunity to uncover the deeper processes behind what disturbs them and the insights and growth they need to follow these processes, and indeed follow nature as it uniquely manifests through them. 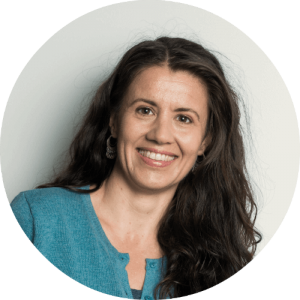 Liz was a facilitating staff member at the Poland Worldwork forum in 2014 and in the Greece Worldwork forum in 2017. Combining her skills and knowledge in facilitation and complex trauma, Liz developed Trauma-Informed Facilitation. Prior to discovering Processwork, Liz worked in adult education, community development, human resource management, quality and risk management, non-violent community safety, and local government. In her spare time, Liz enjoys scuba diving and writing about herself in the third-person.